Ephesians 4 [20.] But you did not learn Christ that way; if indeed you heard him, and were taught in him, even as truth is in Jesus: that you put away, as concerning your former way of life, the old man, that grows corrupt after the lusts of deceit; and that you be renewed in the spirit of your mind, and put on the new man, who in the likeness of God has been created in righteousness and holiness of truth. Ephesians 4 [25.] Therefore putting away falsehood, speak truth each one with his neighbor. For we are members of one another. 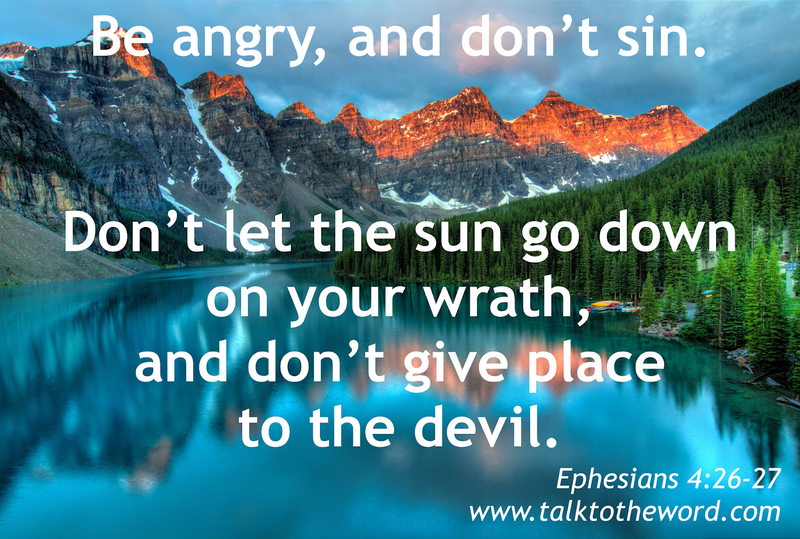 “Be angry, and don’t sin.”[c] Don’t let the sun go down on your wrath, and don’t give place to the devil. Let him who stole steal no more; but rather let him labor, producing with his hands something that is good, that he may have something to give to him who has need. Let no corrupt speech proceed out of your mouth, but only what is good for building others up as the need may be, that it may give grace to those who hear. Ephesians 4 [30.] Don’t grieve the Holy Spirit of God, in whom you were sealed for the day of redemption. Let all bitterness, wrath, anger, outcry, and slander, be put away from you, with all malice. And be kind to one another, tender hearted, forgiving each other, just as God also in Christ forgave you. c. Ephesians 4:26 Psalm 4:4.